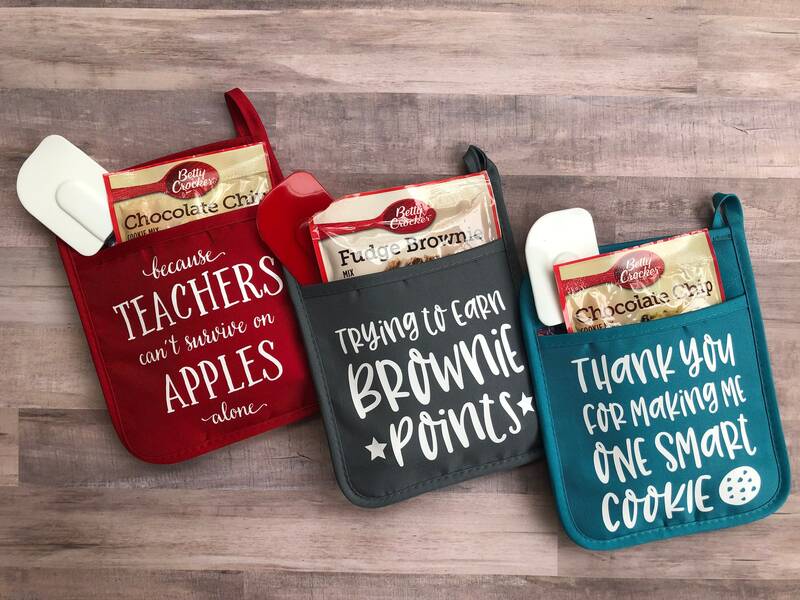 Surprise your child's teacher with this sweet gift! Choice of grey "Trying to Earn Brownie Points" pot holder, red "Because Teachers Can't Survive on Apples Alone" pot holder or turquoise "Thanks for Making Me One Smart Cookie" pot holder. All potholders measure 10 x 7 inches and have a rubber backing for gripping hot pots and pans.